Discussion in 'Manchester United Forum' started by dbryan, Apr 28, 2018. Just watched our season review under Moyes and watching LVG's first season, I think Jose is doing a top job. Could certain things be better? To quote Daniel Bryan...YES! But you know what Jose in his first season lost eight games all season (five in the Prem) and we won two cups. This season we have lost nine games in all competitions (six in the league) and are on course to break the 80 point mark and are in a cup final. Yeah I know there has been some tosh. Losing to City at home (I was there at OT that day, it was freezing with the snow and I got stranded in Nuneaton on the way home) Sevilla was terrible as well. But look at the results of our last few matches, we have beat Chelsea, Man City, Liverpool and Spurs. All the big boys, I am pretty confident we will do Arsenal on Sunday as well. We are going in the right direction....so I know it's another Jose thread but this is the thread to say discuss all the positive points about what Jose is doing at United. He is not god but I think he is doing a damn good job (plus I have had a few beers) so far and I am looking forward to see who he brings in the summer.... if people think he is crap etc just go back and watch Moyes and LVGS' season reviews then come back. Jose Mourinho is a great manager and should stay at the club. He is taking us in the right direction and I can even see us winning the Prem next season. Taking us away from the dark ages of Moyes and LVG, if we sack him now we'll only be starting all over again. I reckon that the board knows that too and, as proven this summer, they will give him the funds to improve his squad. He could even become the next Sir Alex or Sir Matt Busby. I really like him as a manager. I started following him seriously in 2010 because I was so impressed with him. I think he has had a relatively rough time since 2012-13. But, I'm seeing changes in him (and I hope that it's not wishful thinking on my part). He's too pragmatic to stand still while the world moves along/ahead around him. Still, I could mention all that he has won during that time of struggle . I don't know if Mourinho will ever reclaim his previous trophy hot streak but I'm hoping that he wins a big 1 or 2 next season. He has been tentatively mentioning changing his profile as a manger and I hope that he is able to do so. Another 8 years at United, 5 PL trophies, 2 CL, 6 LC, 3 FA and 5 CS or more would be nice. Fingers crossed that year 3 goes well. At the moment, I am happy with the team that he is assembling, hopefully we can keep all the important players and make some necessary upgrades. I am also very happy that the team has figured out how to comeback and win games; previously I have been just waiting for us to lose if another team scores first or at most get a draw. Importantly, I love the general attitude of most of the players. They really want to win things and they believe that they can win. Is he still living in that bloody Hotel ? Love how we won against Chelsea, City, Spurs after conceding goal early in the game. Don't think we would have made comeback wins even last season or LVG second season. This team's mentality is very different from last 4 years. Absolutely hasn't done anywhere near enough for love yet, should have done more than enough to gain everyone's respect though. Strangely enough though, after the debacle of the Moyes and LVG years, he hasn't managed that and I personally don't get it at all. We are gone have the best record and points tally since SAF and maybe a trophy. Long live Jose. Wouldn't you? He's basically living in a top class serviced apartment, with the added bonus of 24 hour room service and maid service. 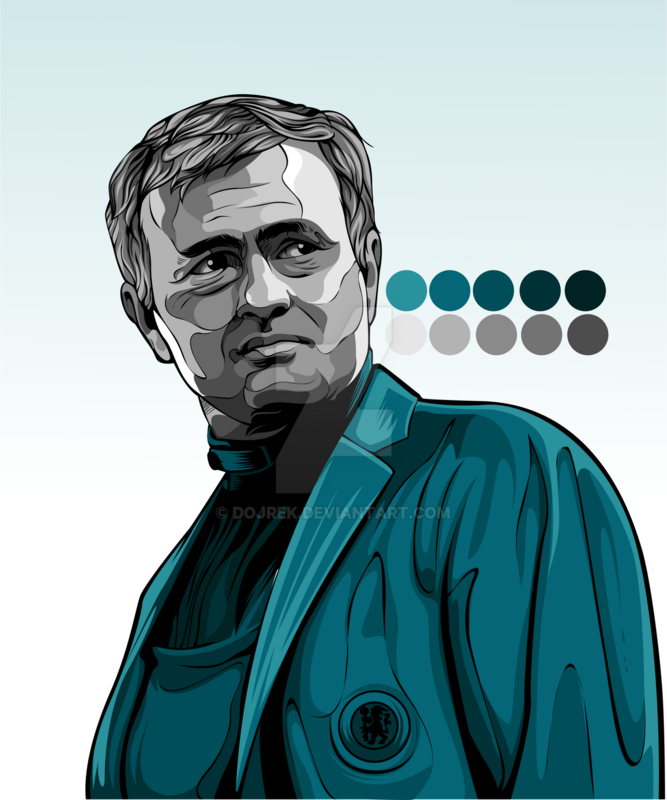 I love his instagram (instagram.com/josemourinho). It's so cute that he clearly writes all the captions himself. Don t really like his approach in big games, but, from saying he's not of united's level, I came to understand it. He deserves 1 or 2 more seasons. What I like about him is that he matured, a lot. What I hate is that he is a pwssy sometimes. Don t really like his approach in big games. Keep hearing this but what was wrong at home vs. Liverpool, Chelsea, City away or Spurs at Wembley in the semi? Has there not big a huge improvement in both our performances and results in the big games since the turn of the year @Laurentiu amt ? Well the 1st half at City and first 30 mins at Wembley wasn't good at all. We were also slow in the first 45 against Chelsea. However, once we got going in those games it was great to watch. I'm sure they don't plan on starting on the back foot and that's something that's being worked on. Would love to watch a whole game like that. But yeah, we have improved. I remember the sprint down the touchline when Porto put us out of the European cup at home. I was a cross between furious and begrudgingly amused by him. He came across as an arrogant prick, but at the same time I liked the cut of his jib. He was mainly respectful towards Fergie when he was in charge at Chelsea which was in stark contrast to all the other managers like Wenger, Benitez et al. So I've always had a soft spot for him, I wanted him to take over straight after Fergie, and whilst I've not always appreciated the football we've played under him he's unquestionably made us better if not more attractive. Think about all the big games which we dream about over the years though. The 3-2 with RvP scoring a late winner, we were dominated for a big part of the second half. The 5-3 and 5-2 vs spurs we were second best in the first half. The 3-3 at the bridge we didn’t start playing till the 50th minute or something. The thing is dominating big teams all game isn’t going to happen. Yeah, you very rarely watch a game where on team dominate for 90 minutes. And scoring 6 goals away at City & Spurs is a great thing. As I said though, we are becoming better in these games. There has been, but we seem to start games on the back foot and really get up to speed in the 2nd half. But that has been our problem the whole season to be honest. I'd like us to be a bit more attacking in the big games, even if it's a bit risky. I don't think the big games are the problem to be honest, although I do see your point. For me it's the smaller games. Look at the points we dropped this season. Especially over Christmas (Leicester, Burnley and Southampton) come straight to mind. Chuck in Huddersfield away and West Brom at home and there you go. Saying that we are on course to end up with maybe around 84ish points. If we can get the same amount next season or even 3 or 4 more, then we should be right in the title mix...unless City have another amazing season. This shouldnt be a debate thread, show love for JM or dont post, plenty threads around for a debate. Just a reminder. Fantastic manager and should have been the one to take over from SAF. He was the only one available, who was qualified, tbh. Had that been the case, I think we'd have won at least 1 if not 2 league titles in the last 4 years. The problem is that Moyes/LVG put us so far behind the rest of the pack, that Jose has been playing catch up, from the day he joined us. The mentality in our dressing room was terrible. Losing matches and not caring. Going behind in games and showing no desire to make a comeback. Thankfully, this is in the past. I want to see further improvement next season, which should see us win the title, though a lot depends on the direction which MCFC take. All we can do is score more point than we did this season. Jose winning the title for us will send a lot of "fans" on here, into a meltdown and I'd enjoy every second of it. We need a thread free of negativity. Great manager, very passionate about the game and a born winner. Bit of a traditionalist at heart too, he does value the culture of the club. He has an aura that no other manager has, even if they are currently more successful than him. Pretty glad we can say he managed us. If he wins PL or CL with us, that will make his time with us meaningful. Lets put it in the title of the thread. Something along the lines of "no debate here"
Then we can have another thread, where people will be allowed to post only negative things about Jose, and there will be no right to debate that. Should have come right after fergie, we'd have won probably 2 league titles in 3 years. Now, he is the perfect manager for that immense rebuilding job (not just team-wise but also mentally-wise) which of course takes time. But he is on the right way, doing fantastic work on the transfermarket, and evolving the team itself. Great manager, and has a good mentality not to listen to the haters. I never liked the arrogant Jose Mourinho that arrived at Chelsea, and proclaimed himself the "special one". But I have always admired his achievements as a manager. I prefer the Mourinho of today. He changed during his time at Real Madrid. The most significant signing since Fergie left. When was the last time we completely dominated a top team. All of our rivalries have been back and forth. City in recent times, Chelsea before that, Arsenal before that. We were always back and forth with these teams because they have top quality players. I believe that last season we had many games where we did not even try to attack against the big teams. But with the arrival of Sanchez we have taken a much more aggressive approach to our big games and I like it. I don't know if we ever have and as I said, teams very rarely do that. We have improved no doubt so hopefully we continue into next season. Yes, that's right in terms of results. I was refering more to the attitudine in big games, because, let's face it, big games are the ones where fans become emotional about the level of performance. Indeed, if we would've won 4-5 games that we normally do, we would be up there with City. But meanwhile, I'd still like JOse to stop pwssying out in big games and also stomp the weak teams. He’s doing a pretty fine job and we are moving in the right direction. Some people underestimate how big of a rebuilding job this has been after Moyes and LVG and so they moan every time their favourites on FIFA don’t start games (you know, because they don’t do the basics their roles require or don’t work hard enough but hey it’s the manager’s fault). Jose is the right man for this club and the big trophies will come soon under his management. In big games, when we go down with an early goal i take it for granted that we will come back into the game. This is a huge credit for Mourinho. Players believe comeback is possible and we usually end up winning the game. It's not happening here and there but more constantly. We've always been known as comeback kings, some in which the opposition team players pulls their hair out thinking how they lost the game at full time. That's what we were then and thats what we are becoming now. Lets win that fecking final and go for the league next season. Oh my gosh, he's like, soooo great you guyyyz. Is there a manager with a better semi-final record? I was fully confident last week cause of the fact we had Jose in charge. Big game performances have undoubtedly improved recently aswell. I'm looking forward to next season already and seeing what tweaks Mourinho makes to improve us further. Indeed. He's also very handsome.